Henry Louis Hulst was born circa 1915 in New York. He married Ruth H. Shipston, daughter of Clark Shipston and Esther Anne Donaby, on 29 October 1938 in New York City, in St. Saviour's chapel of the Cathedral of St. John the Devine. The following appeared on 3 November 1938 in The Saratogian: (Greenwich) Announcements have been received of the marriage of Ruth Shipston, daughter of Mr. and Mrs. Clark Shipston, Niagara Falls and New York City, and Henry L. Hulst, son of Mrs. Francis Hulst and the late Dr. Francis Hulst, Saturday Oct. 29 in St. Saviour's chapel of the Cathedral of St. John the Divine, in New York City. The bride attended Mary A. Burnham school for girls at Northampton, Mass., and was graduated from Syracusse University in 1931. Mr. Hulst is a graduate of the Greenwich High School. 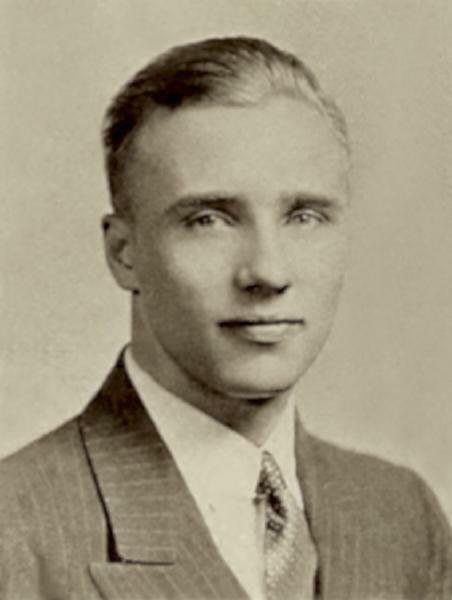 He attended Syracuse University and was graduated from New York University in 1938. Mr. and Mrs. Hulst will make their home in New York City. Henry Louis Hulst and Ruth H. Shipston appeared in the US federal census of 1 April 1940 in Manhattan, New York City, New York, at 144 Ninety-Eighth Street. He was employed as a teacher of engineering, according to the 1940 census. Henry Louis Hulst and Ruth H. Shipston appeared in the 1954 Columbus, Ohio, City Directory at 1130 Highland and Henry is listed at the same address in 1957 as a mechanical engineer..
Henry Louis Hulst died on 3 April 1957 in Mercer County, Ohio. Ruth H. Shipston became a widow at his death.